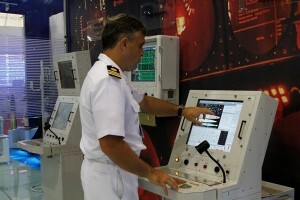 The 9th Latin American International Defence and Security Exhibition has opened in Rio de Janeiro in Brazil. Delegations from 65 countries, including defence ministers attended the opening on Tuesday in Rio. Russian air defence systems are also being shown at the 9th LAAD exhibition, from the 9-12 of April 2013. They are generating great interest, as Alexander Fomin, director of Russia’s Federal Service for Military-Technical Cooperation, reported. More than 720 companies from 60 countries are participating in LAAD 2013 at the Riocentro, and about 30,000 visitors are expected. According to the organisers, among the major firms participating are Boeing, Saab, Embraer, and Rosoboronexport. LAAD is a biennial event in Brazil, which brings together Brazilian and international companies, specialised in supplying equipment, services and technology to the Armed Forces, Special Forces, Police and Security Services. The fair was opened by Brazil’s defence minister Celso Amorim who will be holding meetings with his counterparts from Argentina, Ukraine, South Africa and Slovakia as well as the British defence minister Andrew Murrison and Pedro Argüelles Spain’s secretary of state for defence. Brazil’s Embrear, one of the companies with the greatest display at LAAD, also has plans to present blueprints for different versions of the KC-390 heavy duty transport that can be transformed for fire fighting, air tanker and search and rescue missions.